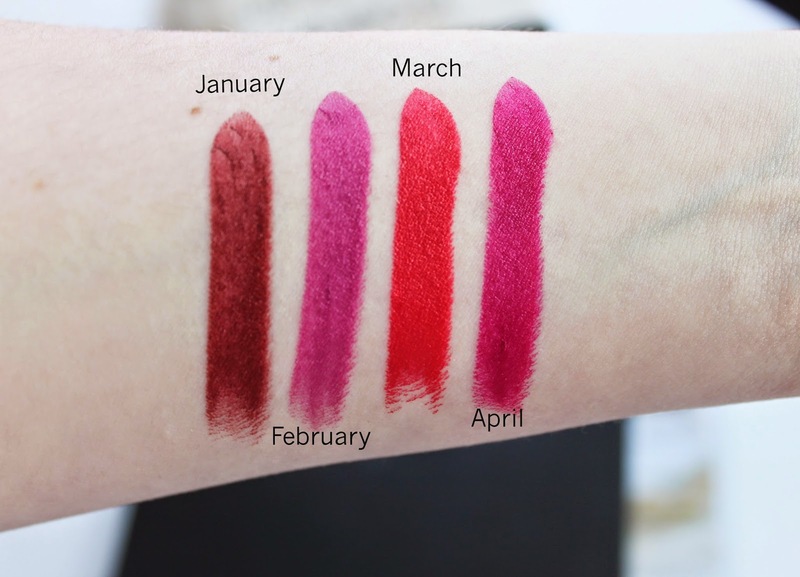 Back in January Bite Beauty started to release one limited edition lipstick a month. 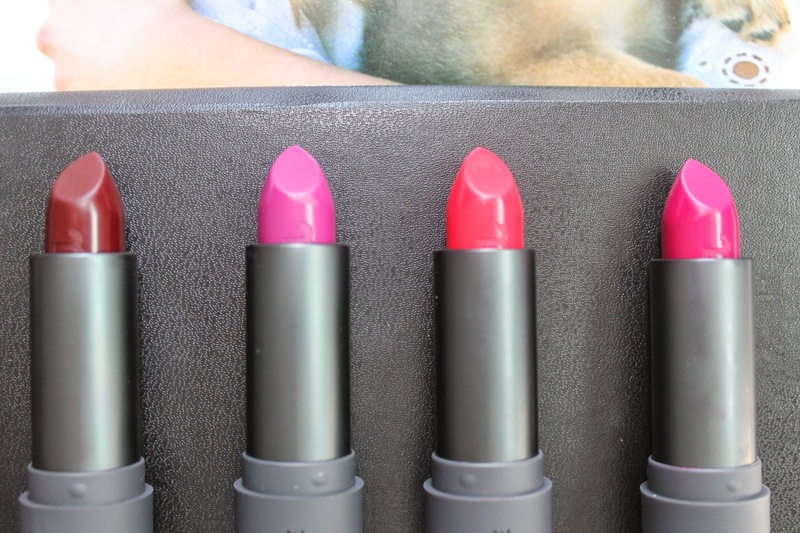 They called them the Lip Lab Limited Release Creme Deluxe Lipstick ($36). That is a mouth full. 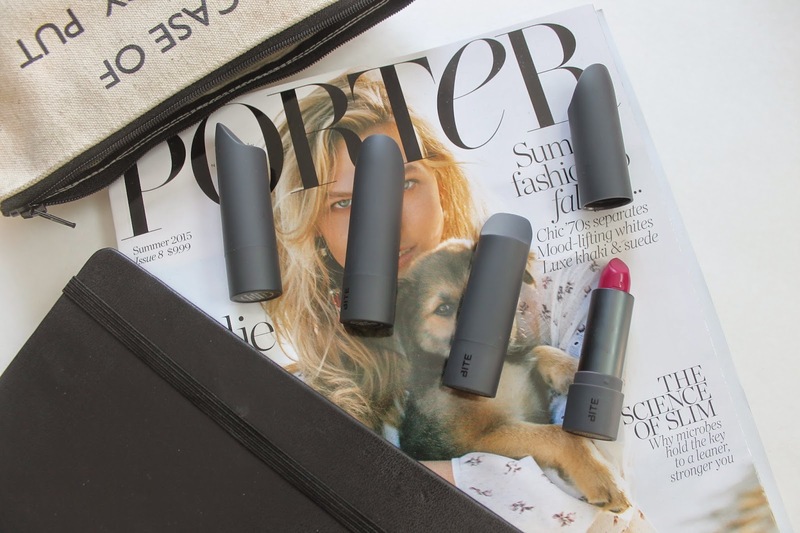 So, the first Wednesday of every month a new shade is released. As the name says these are limited so you better scoop them up fast. I have set up an alarm so I remember. Ha! Now the first month there was a bit of controversy. I was not able to get my hands on the first one because I just totally forgot. Then I read Temptalia’s review saying how dry the formula was and I didn’t feel so bad. Apparently a lot of people complained and Bite Beauty listened and re-released Januarys shade in a new formula. I was able to get my hands on that one. And may I say it is pretty creamy. However March and April’s shades are much creamier. I digress. 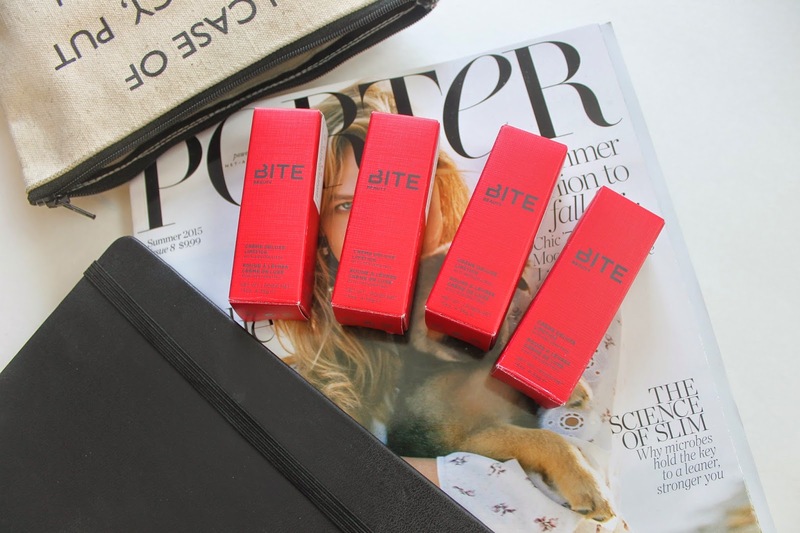 Like any other Bite Beauty product these are all natural and smell great. And these are very pigmented. Overall I am really enjoying these shades. I especially love March. It is such a bright red and prefect for this time of year. I will be collecting them all since I am such a makeup hoarder. 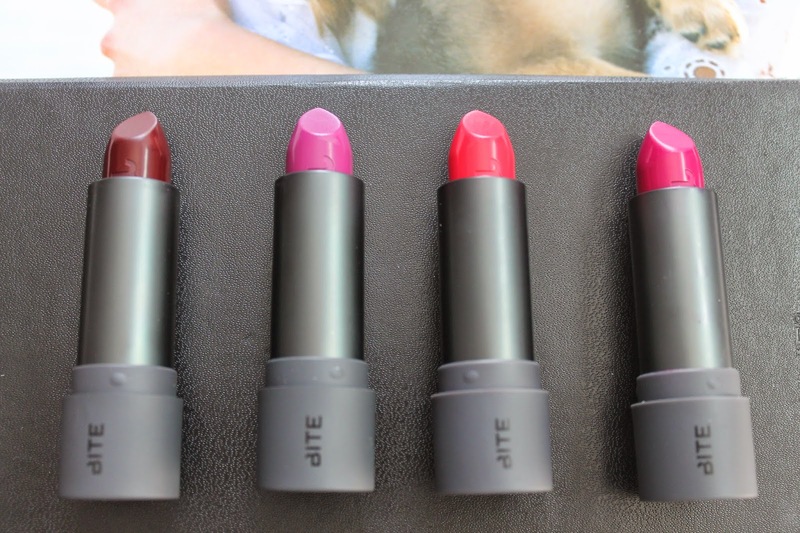 And I just love Bite Beauty so much. But, I will say that the price tag is a bit steep since all their other lipsticks are less expensive and just as good quality. Have you tired these limited edition beauties ?? Will you be collecting them all ?? I missed out on January and February. Ordered March but returned it because I have so many other lipsticks close to that color that I do not wear. I am completely loving April and looking forward to what May will bring. I guess you could say, I will get the ones that tickle my fancy.